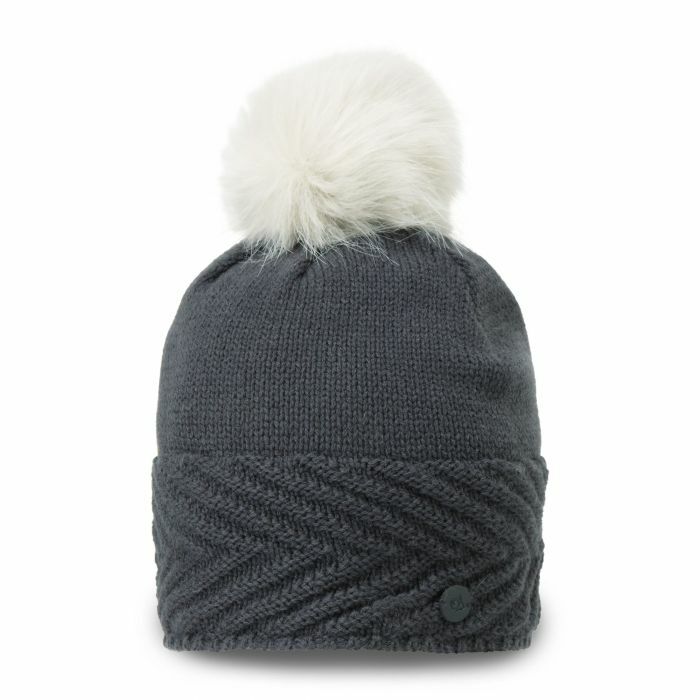 Meet the wintry weather head-on with this seriously warm knitted hat. The wool blend yarn has a textured design and a deep headband that's backed with microfleece for extra comfort. Topped with a fun faux-fur pom-pom for the perfect finishing flourish.